This is nice from Donald who rarely smiles. 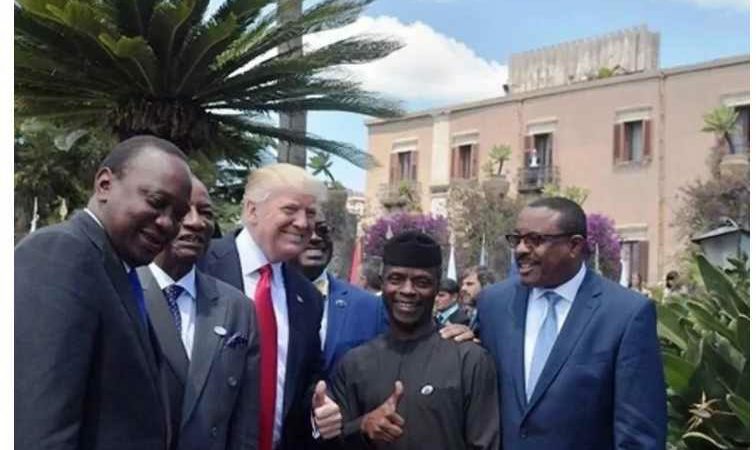 Nigeria’s Acting President put smiles on his face. It seems the two world leaders like each other. We want it that way, people. Donald Trump could work for Nigeria and help support economic development. 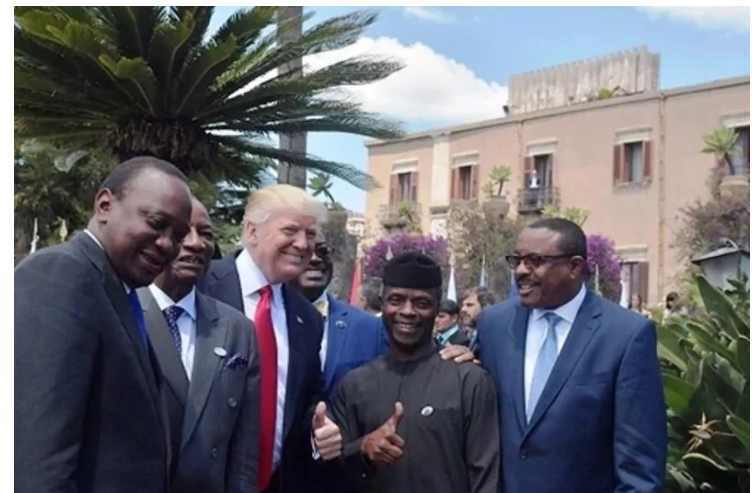 The Acting President Yemi Osinbajo left Nigeria for Italy on Saturday, May 27 for the G7 Summit in Italy. 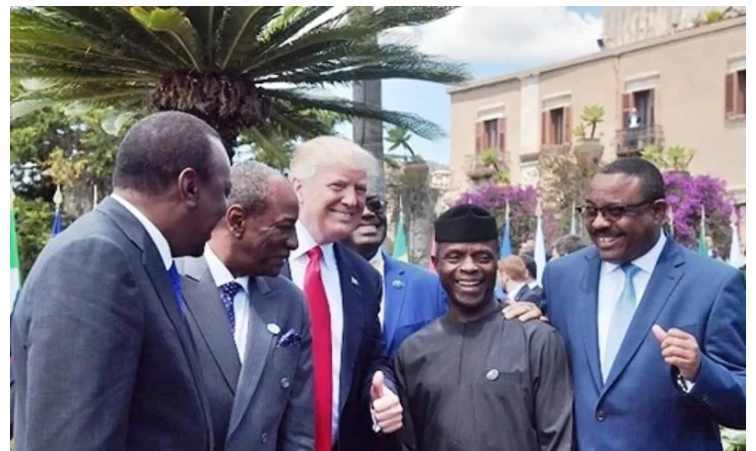 Osinbajo met with United States of America’s President Donald Trump and other world leaders like the Chancellor of Germany, Angela Merkel. Photos during the G7 Summit.